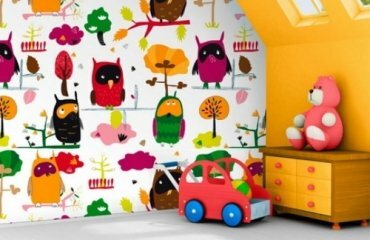 If you are searching for fresh design themes and ideas for your kids room wall decoration, then we offer you some exciting suggestions. 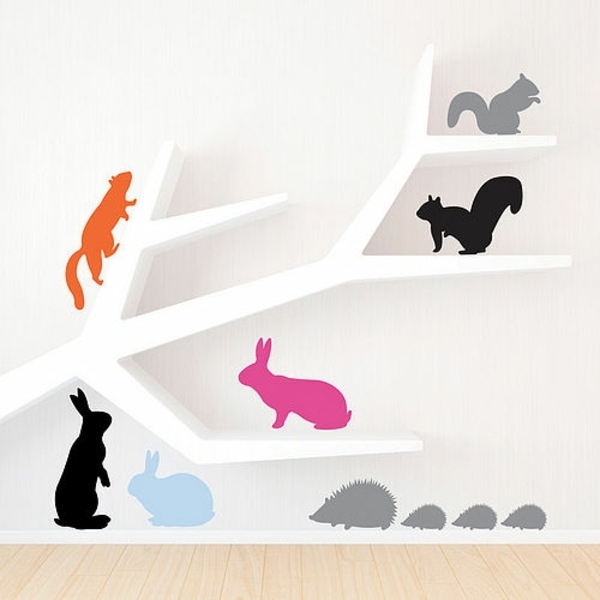 Pictures, wall stickers or a uniform wall color – it’s your choice. 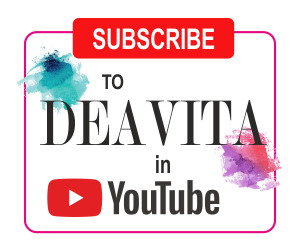 If you need to decide on the color and the kids room wall decoration, you do not have to keep to the stereotype division between pink and blue. It is more important that your child likes the color and that the color is not too dark – the room should look bright and especially inviting. 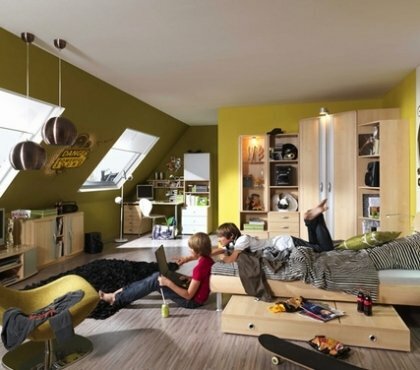 Young people need a lot of storage space, so you should also consider this. 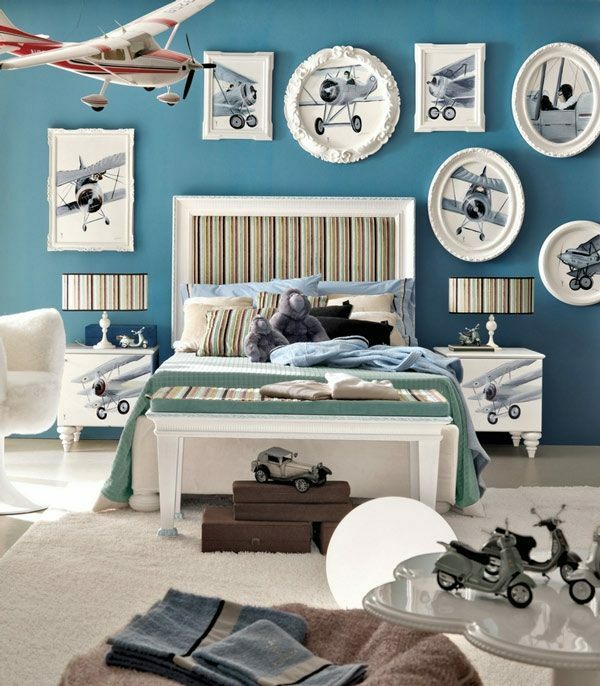 When you have chosen the color for the kids room wall decoration, it is always a good idea to paint the walls in one color and then set an accent with wall decals. Normally, the other walls in the room are occupied by bookshelves, over the desk no pictures should hang – so the children will automatically divert their attention. 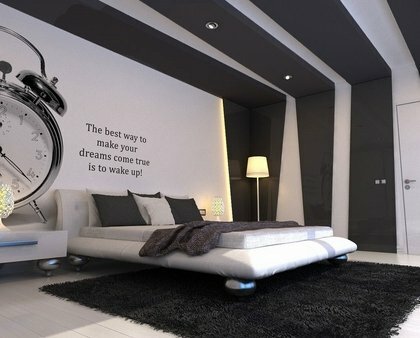 Convenient location is to create a wall decals or a painting is above the bed. 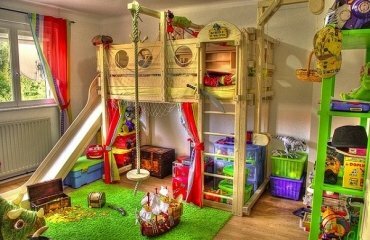 Thus nice accents and bold colors will not disturb the child while sleeping. 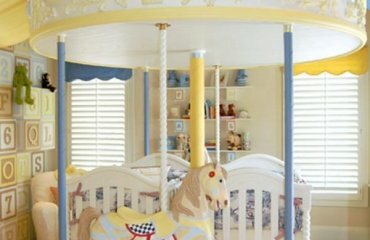 For the decorative motifs on the wall, you have to consult with the child first – if your girl loves horses, you can still make a brown-beige color scheme with many horses images. 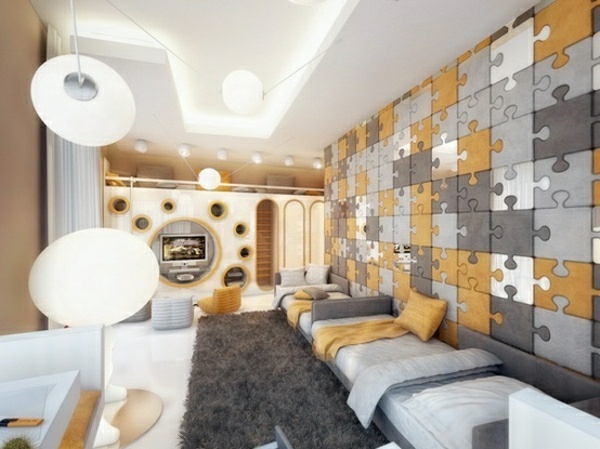 Create atmosphere by blue curtains, children’s drawings, or interesting bookshelves. 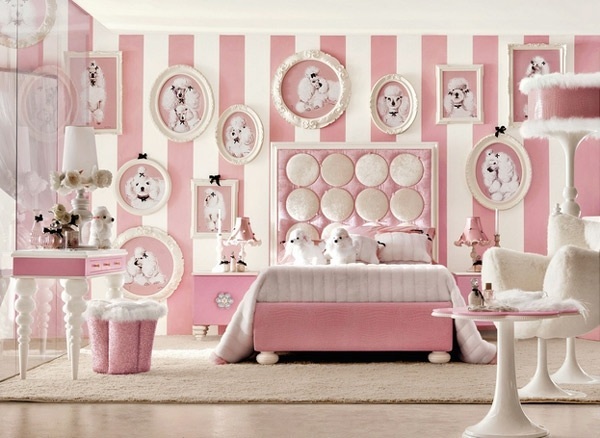 Pink stripes for little princesses are always a great idea, while an adult girl may prefer a more elegant black and white color scheme, decorated with a pink guitar. If the room is big enough, you can stick wallpapers with smaller patterns. Otherwise, it is better to choose large square pattern. Stripes are not only fashionable, but they make the room look bigger.